My five year old nephew, Jack Patrick, came to lunch today. He brought his mum and dad, his little brother and his grandma with him, but, as he helped me microwave the frozen peas and lay the table, it did feel as though it was him I was entertaining rather than anyone else. “I have written a poem,” he said, “Would you like to read it?” On a sheet of A4 paper, in large letters carefully written in pencil, was Jack’s poem. That is how Jack Patrick sees his world. He’s got a good sense of rhythm and meter. He’s even made his poem rhyme. I think it’s rather good. There is a second stanza, but, rather like a band’s difficult second album, it doesn’t quite live up to the freshness of the first. Tomorrow, after six months travelling around Australia, Jack will go back to his primary school in Gloucestershire. He’s excited about going and can’t wait to show his teacher what he has written. I am sure that she will be as impressed and delighted by his creativity as I was – and will praise him, maybe even sharing his poem with others. Over the next thirteen years or so, Jack’s classmates will work their way through school. They will gather the knowledge that it has been decided that they should gather. They will develop skills. They will sit tests and exams. They will end up with qualifications. And that is all good. As far as it goes. But many of Jack’s classmates will, at around the age of twelve, or maybe even before, lose their spontaneity of expression and enthusiasm for learning. One reason for this will simply be because they will be turning into teenagers and coping with the early pangs of adolescence. But another will be that they will have learned, somehow, that they are not ‘good’ at learning – or at least ‘good’ at learning the things that the education system tells them are important. In Britain, as in many countries, the pressure of school league tables and diminishing budgets have meant that the curriculum has narrowed much more than it should. Drama, sport, art, cooking, needlework, motor mechanics and outdoor pursuits are increasingly being sidelined. It’s time to recognise, as the independent sector always has, that experiences such as these are also not just important, but essential to a young person’s education. They are as essential as reading, writing and mathematics. As important as having a basic understanding of the narrative of our history or a knowledge of world geography. They help to create what used to be known as an ‘all round education’ . They provide the counterbalance to what is learned in the prescribed curriculum of the classroom. These are the experiences in which a young person chooses to get immersed; they form the elements of truly individualised learning. And they are often the way that a young person finds out what they are really ‘good’ at. An ‘all round’ education keeps a young person engaged, particularly through adolescence. Kurt Hahn, the teacher whose thinking informed much of the early development of The Duke of Edinburgh’s Award, recognised this. “It is culpable neglect,” he wrote, “not to impel young people into experiences.” All young people have their own stories, motivations and circumstances and as adults we have to connect with them personally. Psychologist Angela Lee Duckworth talks about the importance of encouraging students’ positive attitudes to life and learning – or ‘grit’, as she calls it. So far, in his young life, Jack Patrick has been impelled into experiences by his parents and encouraged to reflect on them. At present, the swooshing of wind in the trees is an experience worth recalling. As he grows, I know that his mum and dad will help him to gain many more experiences, to take calculated risks and to find his place in society. But what about his classmates in the Forest of Dean? Will they be given similar opportunities to discover their passions, develop informed attitudes, heighten their aspirations? Will they, like the trees in the wind, have the chance to go ‘swoosh, swoosh, swoosh’? I love it John. Very inspiring and makes me feel like we are on the right track in life. I really don’t know what we will do if the Government make it illegal to part school and part home school our sons in this manner. A change in the law that allows traveling, working families to have part time access to education will simply drive these families further away from schools. It will also make our lives much more complex as home schooling does take up a significant amount of time. A life that is already complex living in 2 countries with 2 children and running 2 businesses. I just read your blog to JP – he said it was very good. He said it was also very good, also like a poem but a bit longer! 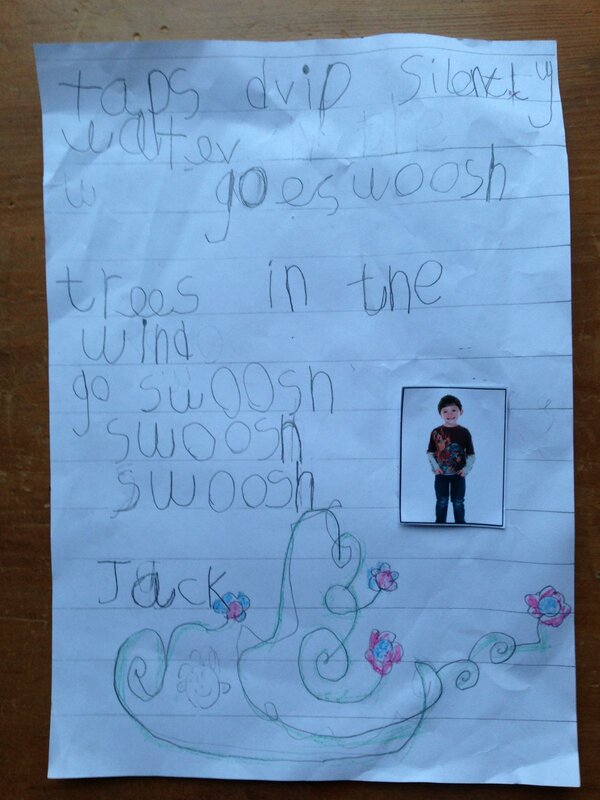 I recently met Jack with his mum at Womadelaide – what a delightful and fortunate kid! Yes and he still comes out with the occasional ‘I’m bored’ and ‘It’s not fair’ – it only he knew!